This is an account of one man's 30-year involvement with England's rarest bird, the golden eagle. Initially employed by the RSPB as a senior species protection warden at a secret location in Cumbria, the author describes the intricacies of establishing a protection regime by wardens that would operate for the next 26 years and his efforts to protect and study this iconic species. The Lakeland eagles were at their most productive during his tenure, rearing six eaglets in the six years before he widened his interest to study eagles in Scotland as well as England. The author discovered and recorded many previously unknown facts about golden eagles. He began to plan and implement projects which would expand knowledge of the species as well as helping to secure their foothold in England. His project is the most detailed and complete study of a pair of golden eagles with, at its heart, the life and times of an eagle he followed from its arrival in 1982 until its death, 22 years later. A bird that would eventually show little fear of him and accept his presence rather than flee. 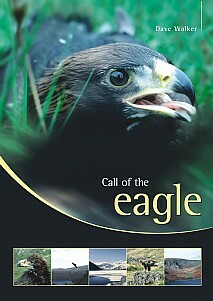 The author recounts the hardships experienced by the eagle and eagle-watcher alike, and his record of behaviour at the nest is unparalleled. However, working with golden eagles is not without difficulties and the author's encounters with unsympathetic shepherds and poor decision-making are also described, as are his dealings with egg collectors who craved to add the rare English eagle eggs to their collections. His efforts to counter their intrusions even saw him rebuilding eagle eyries that had been so dispassionately destroyed! However, Call of the Eagle amply illustrates the close attachment and passion that drove the author to devote so much of his life to this magnificent raptor, famed as the King of Birds. This will be of special interest to all birdwatchers, particularly those with a special interest in raptors, and anyone with an interest in and appreciation of wildlife, the natural world and conservation.